Drones with the headless mode function are equipped with a specialized flying mode that enables enthusiasts to enjoy focused drone orientation. It has a line of sight experience, which makes it extremely easy to operate; especially when it comes to beginners – they can learn fairly quickly. It allows new pilots to control the input of a drone. They can set and handle the orientation of the drone without changing its direction. Headless drones are incorporated with a unique feature known as unmanned aerial vehicle (UAV) technology and have in-built transmitters to gain control of all directions. The Altair 818 Hornet is an excellent headless drone version. It is beginner-friendly and very easy to activate with its multiple speed modes. It has three-speed modes for beginners and advanced pilots to help you manage its flight. Besides that, it has a 720p HD wide-angle camera to shoot beautiful videos, and safety features like a battery alarm to save pilots from the crash landing. It is best for outdoor flights and allows the pilot to enjoy a comparatively longer flight than other headless mode drones. You can get your hands on it in under $150. In addition, Altair has great customer service; they respond quickly and answer your questions without fail and without leaving you hanging in the middle. 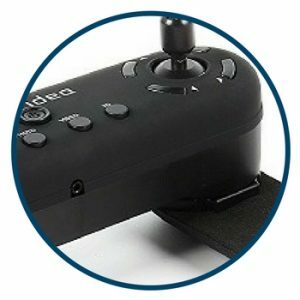 They provide beginners with some excellent tutorial videos to help them learn drone flying. Moreover, their customer service ensures easy to understand instructions to fix the issues you have on-hand. They are not only quick to send replacements but are reliable in terms of sending the right product. The Altair 818 hornet has some great features- especially the fact that a rookie can learn how to fly drones easily. It has an impressive camera with different flight modes and is a fantastic drone for first-timers. The AA108, with its handy design, is one of the most chosen options among drone enthusiasts. Its advanced fliers are specially designed to facilitate pilots who cannot handle excessive speeds. With the help of three skill levels, the pilot can easily control the speed when the drone is in the headless mode function while enjoying his flight experience. It has all the advanced options like headless mode, altitude hold and takeoff and landing functionalities. The flexibility to adjust the different speed modes provides a sort of leverage to beginners to polish their skills of drone flying. Besides this, the AA108 steerless feature makes flying drones incredibly easy with its orientation commands and control inputs. Pilots can adjust the angle and the direction of the headless quadcopter while gaining expertise. Its 720p HD camera is an additional feature that can help you take stunning aerial shots at will. You can even shoot video in real time. Its 120-degree wide-angle camera captures impeccable images. Plus, it has a top-tier stability that allows headless mode drone to stay in the air for ten minutes. 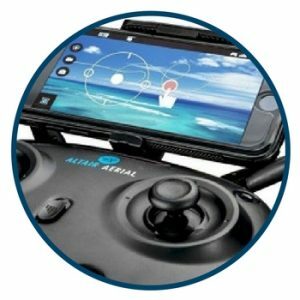 Altair’s AA108 is exceptionally safe and a perfect drone for the beginners. It can function with a custom route mode that can also be operated with a smartphone. It has long-range flight time, with a durable battery. With FPV camera, it includes emergency landing functions and remote control technology. As a beginner, you would prefer an affordable, small and easy-to-use quadcopter to enjoy your flight experience. 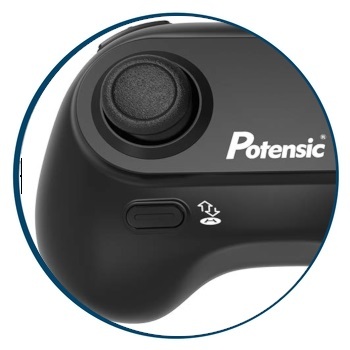 The Potensice Upgraded A20 is an incredibly designed mini headless drone that can offer really good performance if you are looking for something different. It’s portable, fast, and very easy to fly. It also comes with 2 batteries, doubling the flight time to 12 minutes before you have to charge again. Not only this, the RC headless drone has an auto hover function to control the ascending and descending positions of the flight. It also has an emergency stop and low voltage alarms that protect beginners from crashes due to loss of battery charge and improve overall safety. At only 5 inches long and weighing a mere 8.2 ounces, this mini drone is highly portable and can be taken anywhere, flown even by children or beginners! Small RC drones are stable fliers and not maintenance intensive. They are easy to fly and very inexpensive. On the other hand, the RC headless drone has a short-lived battery and can only be used as a short-term device. The Serene Life drone is the preferable choice for a majority of drone lovers due to its live stream feature – yes it too has an HD camera. The headless mode quadcopter is designed with a bonus battery that enables it to fly for a good fifteen minutes. You can achieve a high altitude up to 600+ ft to capture videos and pictures. It has (1280 x 720) high definition pixels to help you capture some truly beautiful and serene photos. You can operate it with Wi-Fi that increases its maneuverability power. With Wi-Fi connectivity, the pilot can enjoy video transmission which is rare in other headless drones. Moreover, it has speedy and powerful flight and comes with one-button remote control operation to manage the drone easily. The headless mode function is installed for beginners to adjust the orientation and directional changes. The drones weigh 8.8 ounces and you can get your hands on it $159.98. The drone can maintain a consistent altitude with a steady and smooth hovering stabilization processor. It has a durable battery that also supports gravity sensor function. However, if you are just a beginner, it may get little more challenging for you to fly it at its highest altitude range. Thus, it is recommended to acquire some high- altitude proficiency before you tend to experiment with different altitude ranges. 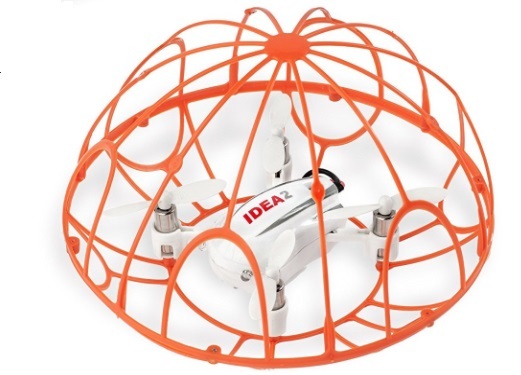 If you are concerned about the safety of your children while buying them a drone, the mini drone cage is one the suitable option. It is like drone toy – especially if there is a little drone lover at your home. The 2.4-G headless quadcopter is an ideal choice for the children to develop their cognitive skills. It is covered with a plastic cage that not only makes it a safe drone for your child but it helps him develop his potentials. The innovative mini-drone toy has low voltage alarm with 360 flip functions to ensure an easy and a fun flight at the same time. 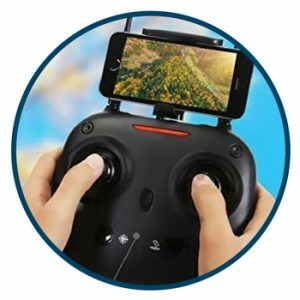 The unique headless drone stimulates the interest level of your children and builds their confidence to become a skilled drone pilot. It is made of durable plastic that lasts at least two years. Not only this, all of its movements and stunts can be controlled with a fully fledged remote control. Its headless modes allow children to handle drone orientation and 3D rolling. 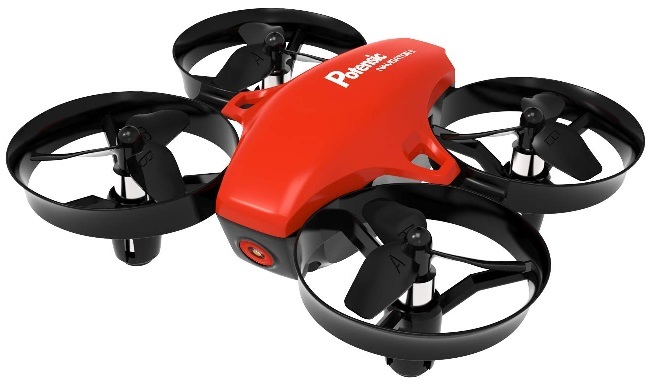 The mini toy drone has a total weight of 4.2 ounces and costs $35.99. It works exceptionally well with one key return. Plus, it has no sharp edges and safety ball cage to protect children from any possible danger. On the contrary, the toy drone lacks durability when it comes to its battery life. It has to be frequently charged to complete consistent flight duration. What is headless mode when flying a drone? It is an advanced option to move the drone forward, it moves forward in a direction relative to yours, regardless where the drone is actually pointed. Is headless mode for beginners? Yes, it assists beginners to fly the drone competently – familiarizing them with how they can control the orientation of the drone. 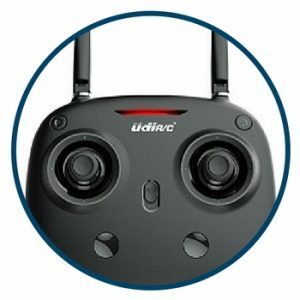 Should I get a drone with headless mode? It depends on your requirement, however; most headless drones are toy drones and have been designed to facilitate beginners. What is a headless mode for? Fpv is short for ‘First Person View’, and the camera is mounted on the quadcopter to broadcast live videos. Headless FPV mode allows pilots to experience precision-based flight control. The headless mode feature helps a beginner to track the orientation of the drone. That is to say; headless drones are more advanced when it comes to flight control and command. If you press right on the transmitter, it will turn right regardless what side it is pointing towards. It will not realign its entire flight path to just turn right. This feature is what makes it stand out from normal quadcopters. There is absolutely no question technology is getting more and more innovative and breathtaking. This is especially a truism when you talk about drones. The drone community has experienced a massive shift in technological progress and cutting-edge features. Headless mode drones have been recently launched, and they are one of the great examples of how technology is rapidly evolving. Headless drones have totally redefined how you fly drone. Welcome to the future! To crown it all, drone community has seen a great revolution in the technological advancement. There are a number of drones available in the market which are not only affordable but are equipped with various specialized flight modes to make them easy to handle. The aforementioned drones contain the all the features of HD camera, headless mode, powerful maneuverability, and safety equipment that can turn your drone flying practice into an exciting experience.